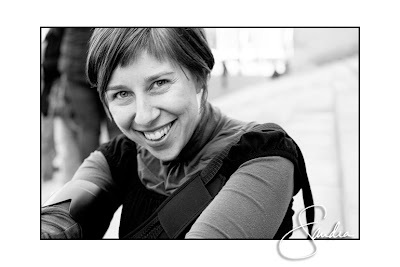 studio smc photography | Sandra Costello: Thank you 2009! Hi friends! I thought I would start out my blog post with a picture of me since it's been so long. This photo was taken by William. William is close to my height but much younger, I'd say about five years old or soon to be five. He took this photo at the very end of a shoot with his family on a gorgeous day in November. We had a great shoot and once again I was reminded by how lucky I am to do what I do. 2009 was a wonderful year. I got the privilege to capture the joining of so many couples and the love shared by their friends and families on their wedding day. It is a sight to be seen. It makes me well up just thinking about it. And to the families who shared their homes and hearts with with me so that I could capture a few precious moments of them together, thank you. Coming from a family I wouldn't trade for the world, I know how important it is to capture those fleeting moments. This past year I was reminded that life is too short not to eat dessert first. That we can run through the sprinkler even if it's in our Sunday best:) I am reminded to take a break from Facebook and other virtual networks to make real time for friends and family. I am reminded to take care of one's health and the health of important relationships. I am reminded that anything important takes time and care and deserves much love. Giving and accepting love is the message I was reminded of most in 2009. This past year was a good year but it was also filled with many challenges. Don't forget to take time for yourself and the people you love. Sometimes a simple hug to your neighbor is all you need. And with that I'd like to leave you with a film I hope you'll find inspirational.